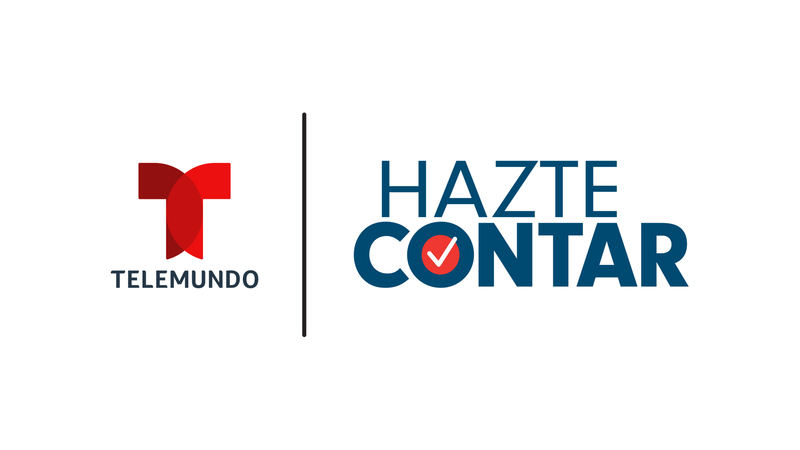 Miami – March 28, 2019 – NBCUniversal Telemundo Enterprises, the leading media company serving Hispanics, announced Hazte Contar (Be Counted), a robust civic engagement campaign under the umbrella of its award-winning corporate social responsibility platform “El Poder En Ti” (The Power in You). The multi-year campaign will tap into Telemundo’s fast-growing, multiplatform portfolio and community partnerships to unleash the Hispanic community’s vast and growing influence in the U.S. through greater civic participation in the 2020 Census and upcoming Presidential elections. The Hazte Contar campaign will inform the Latino community about the importance of participating in the Census and will be on hand to offer assistance to viewers, address questions and encourage completion of Census forms for this once in a decade opportunity. HAZTE CONTAR COMMUNITY TOUR: Building on the success of Telemundo’s recent cross-country Community Empowerment Tour to inform and provide resources to consumers on opportunities to register to vote, the Hazte Contar campaign will feature an expansive tour across the country visiting major Hispanic markets such as New York, Los Angeles, Miami, Chicago, Orlando, Houston, Dallas, Phoenix, Denver and El Paso. Beginning in 2019 through 2020, the cross-country tour will leverage partner organizations’ work to increase Census and voter participation among Latinos. The tour will incorporate pop-up location sites where community members can visit and receive accurate information from experts on the benefits of participating in the Census. Experts will also be available to provide guidance and answer questions to guarantee that the Hispanic community participates without hesitation or concerns. The Hazte Contar tour will ensure Latinos across the country have the access and information to make their voice heard. COMMUNITY PARTNERSHIPS: Telemundo will partner with over 50 National and local Hispanic organizations including UnidosUS, Hispanic Federation, NALEO Educational Fund, Voto Latino, League of United Latin American Citizens (LULAC) and the National Hispanic Association of Hispanic Journalists (NAHJ) to expand its reach to millions of US Hispanics and provide the resources necessary to educate and empower the community on the importance of making their voices heard. SPECIAL SEGMENTS: Telemundo will launch a series of ongoing special segments focused on all-things Census across network shows including “Un Nuevo Día” and “Al Rojo Vivo.” Noticias Telemundo special l segments will incorporate a variety of national experts and trusted voices across “Noticias Telemundo,” “Noticias Telemundo Fin de Semana,” “Noticias Telemundo Mediodía” and “Enfoque con José Díaz-Balart” to educate viewers on the importance of being involved and to inform all audiences on how their voices can be heard and counted during this critically important process. PUBLIC SERVICE ANNOUNCEMENTS: Leading up to the 2020 Census, Telemundo will roll out a series of public service announcements featuring top on-air talent including José Díaz-Balart, María Celeste Arrarás, Julio Vaqueiro, Vanessa Hauc, Adamari López, Jorge Bernal, Don Francisco, and Rashel Diaz, among others, to leverage their connection with the community and help combat many of the key reasons Latinos are hesitant to participate in the 2020 Census. DIGITAL RESOURCES: Key resources and information on Census and Voter Registration will be available on the specialized website, www. 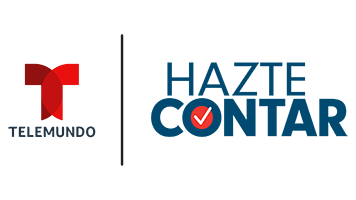 HazteContar.com, in English and Spanish, including partner resources and specific information based on an individual’s locations. This includes information on closest Census assistance locations, polling locations, and voter information tools. Digital content and up-to-date material will continuously be featured on Telemundo.com, Facebook, Twitter, Instagram, and YouTube. 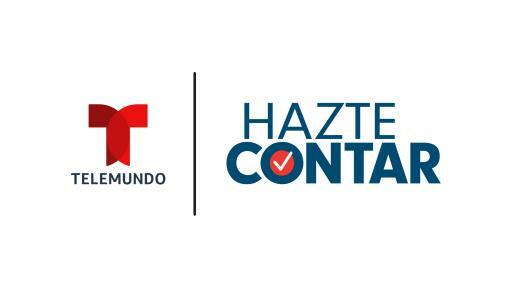 Viewers can also follow the campaign on social media using the hashtag #HazteContar. 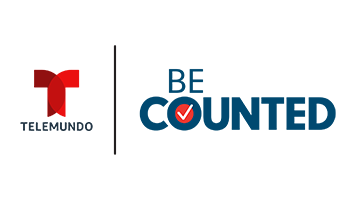 CANDIDATE FORUMS: Telemundo will host election candidate forums across its stations and affiliates, including the first Spanish-language Democratic presidential debate in partnership with NBC News and MSNBC in June. For more information and key resources, visit www.HazteContar.com.